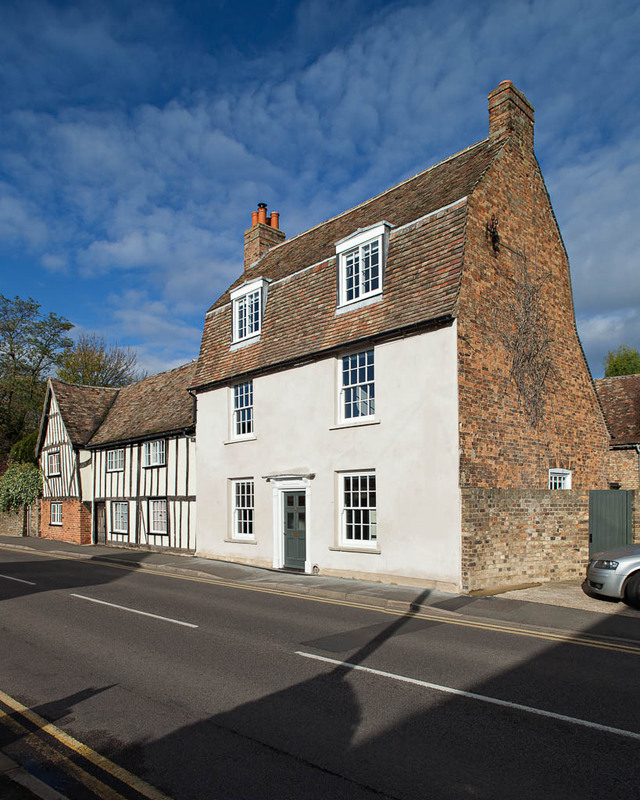 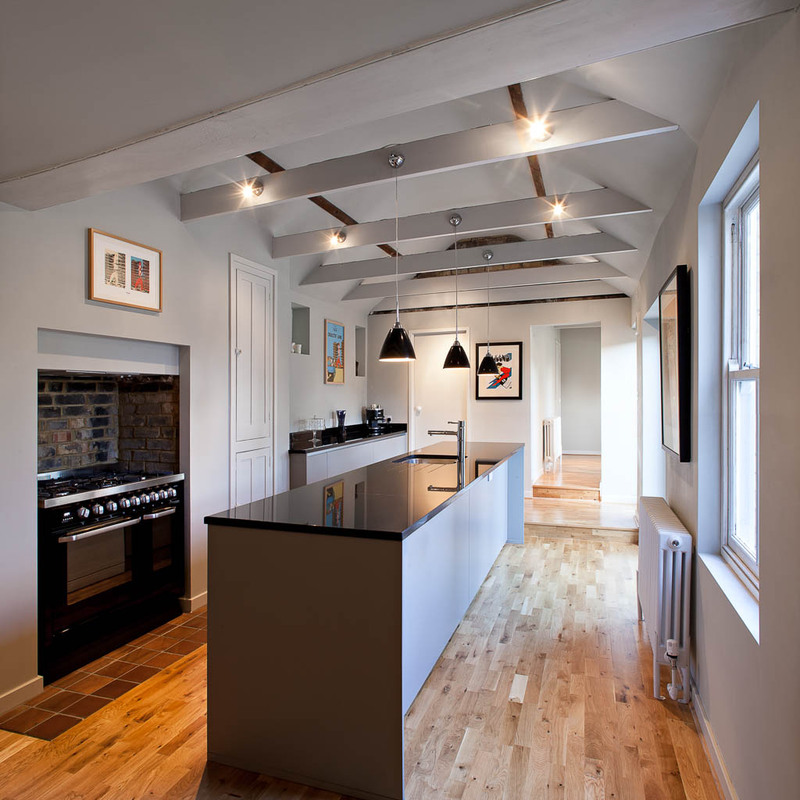 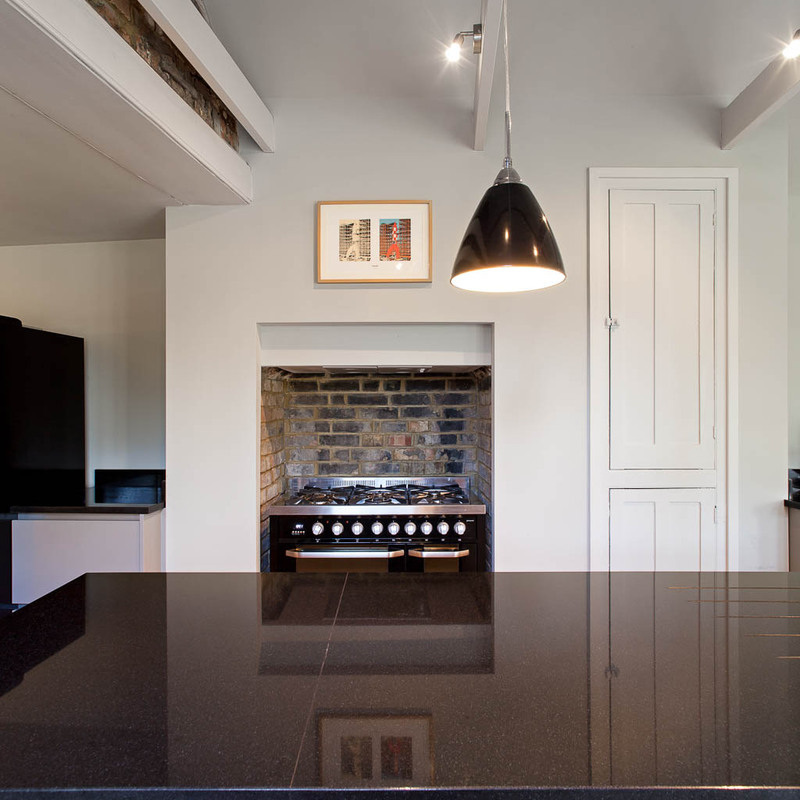 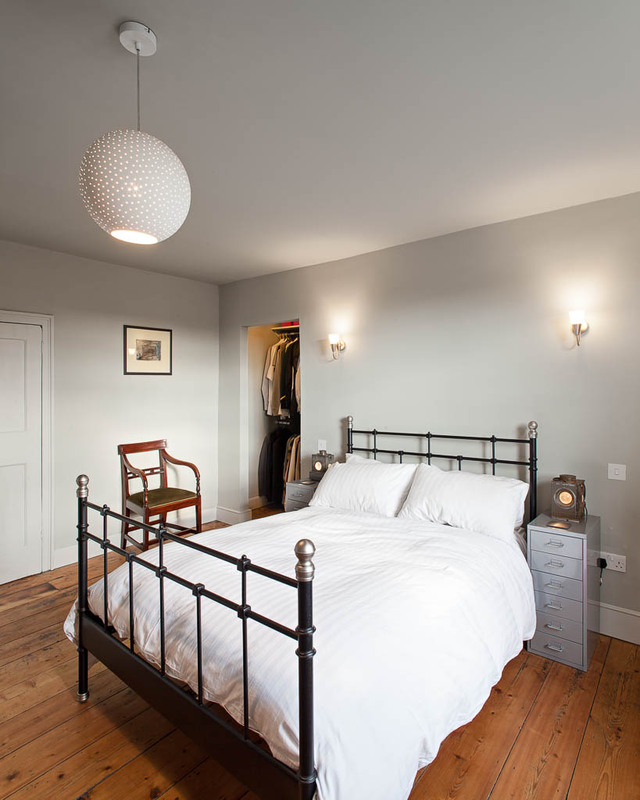 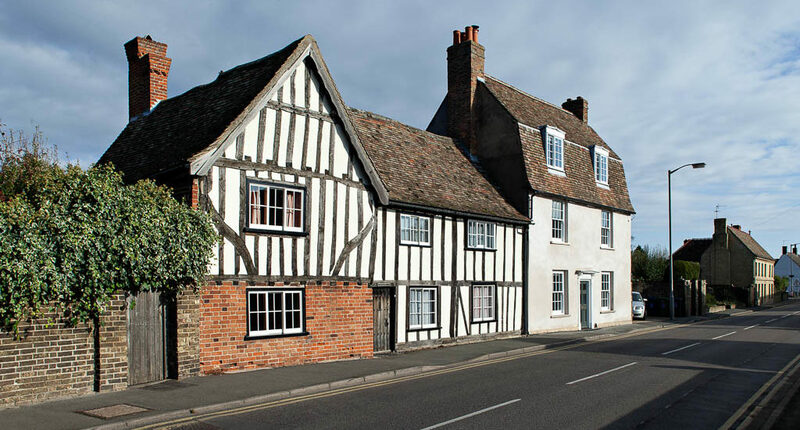 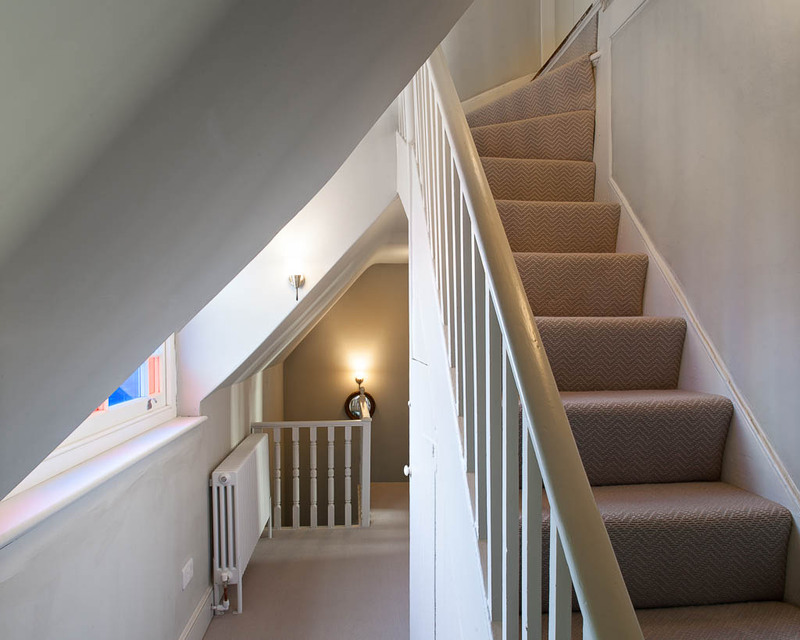 A project involving a complete refurbishment of a Grade II listed house in Godmanchester. 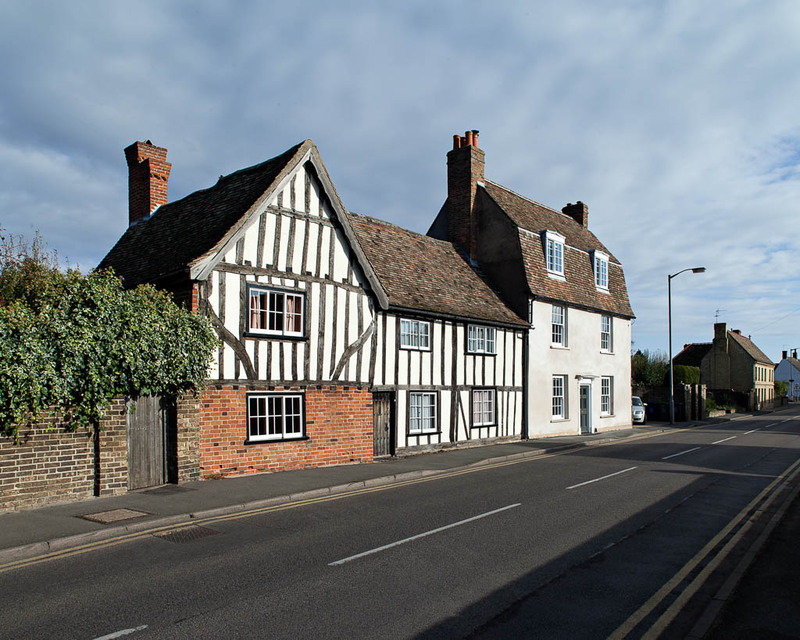 The house dates from the Late 18th century and was built by dutch drainage engineers who brought the distinctive roof-form from their home country. 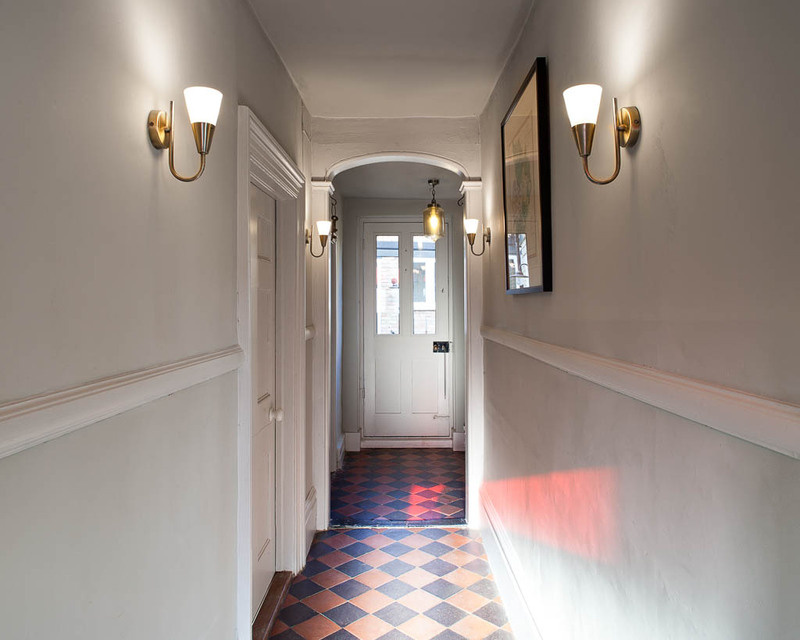 There had been little modernisation of the property since the early seventies and the house had begun to suffer from serious damp problems. 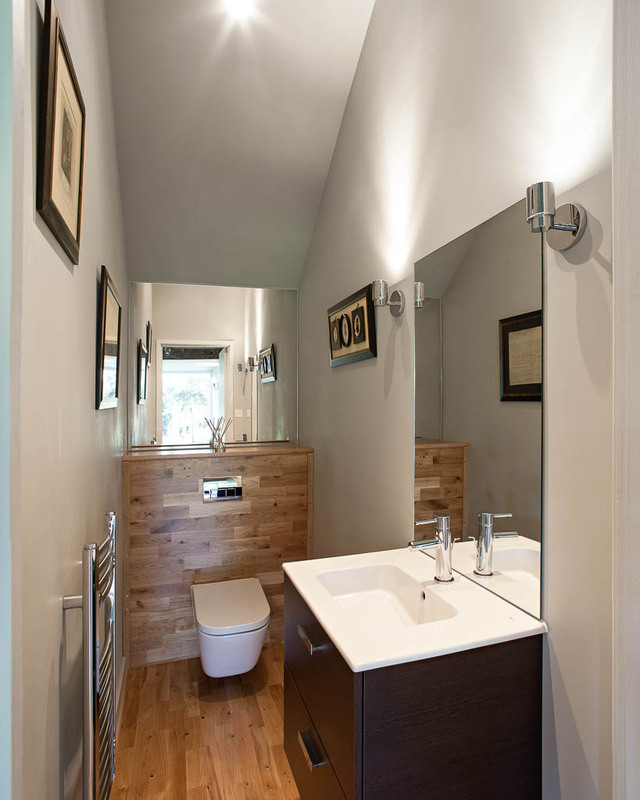 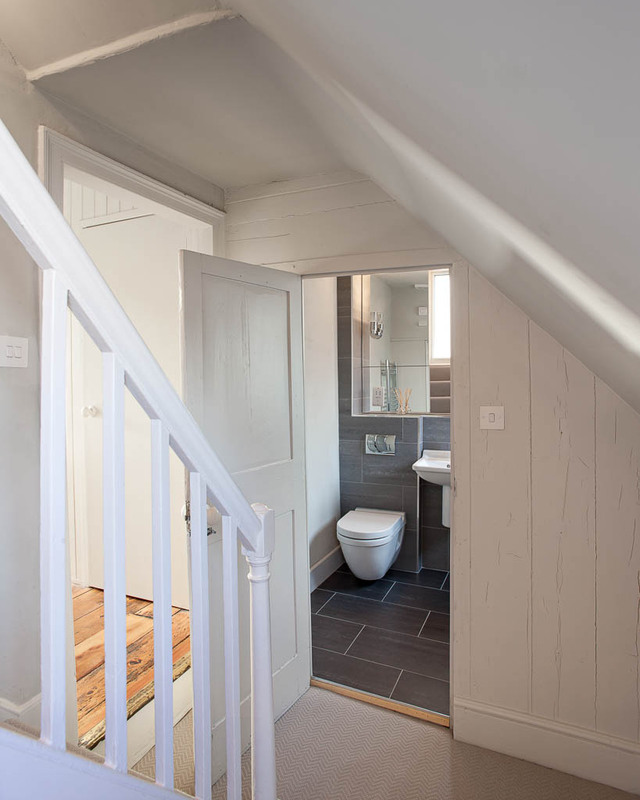 Our designs created additional bathrooms, an enlarged, modern, family kitchen and improved the energy efficiency of the building. 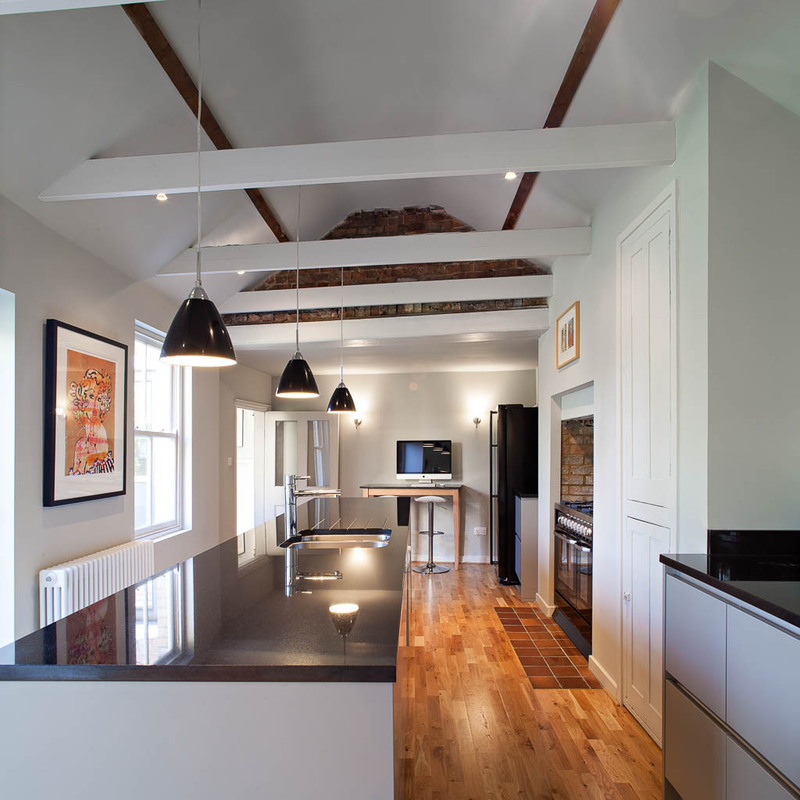 The new Kvänum kitchen, designed by Kök of Lancaster, was located in the Victorian kitchen wing; partitions were removed and the ceilings opened up to create a dramatic single space. 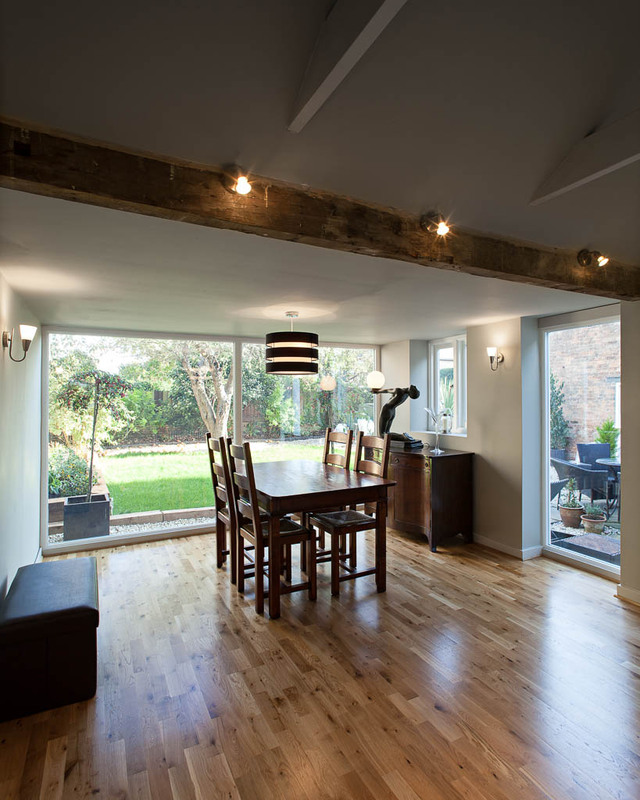 The garage was converted to provide a pantry, utility room and a family dining room. 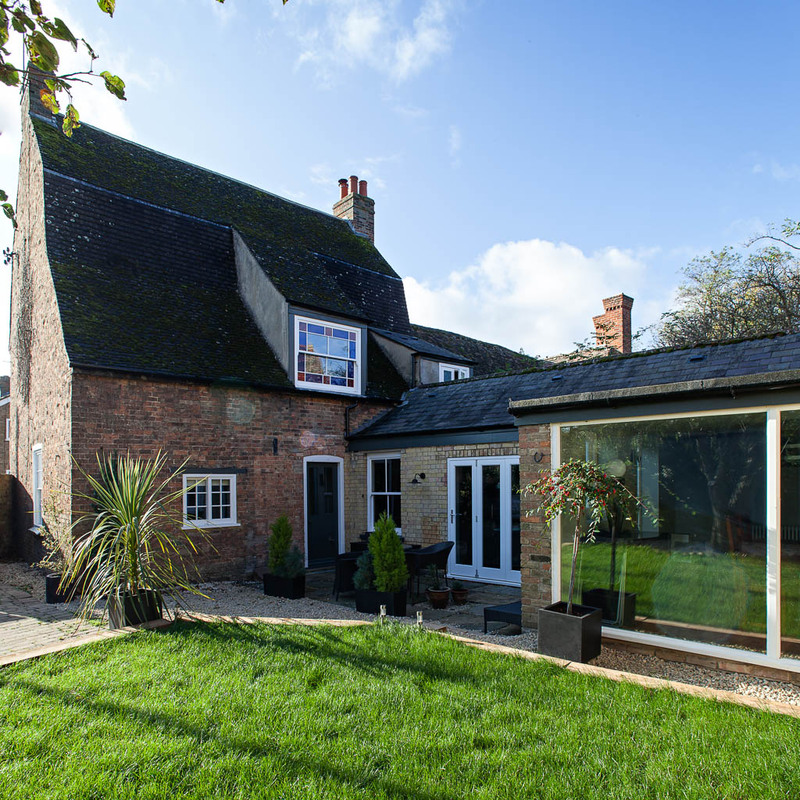 Large triple glazed windows replaced the existing garage door. 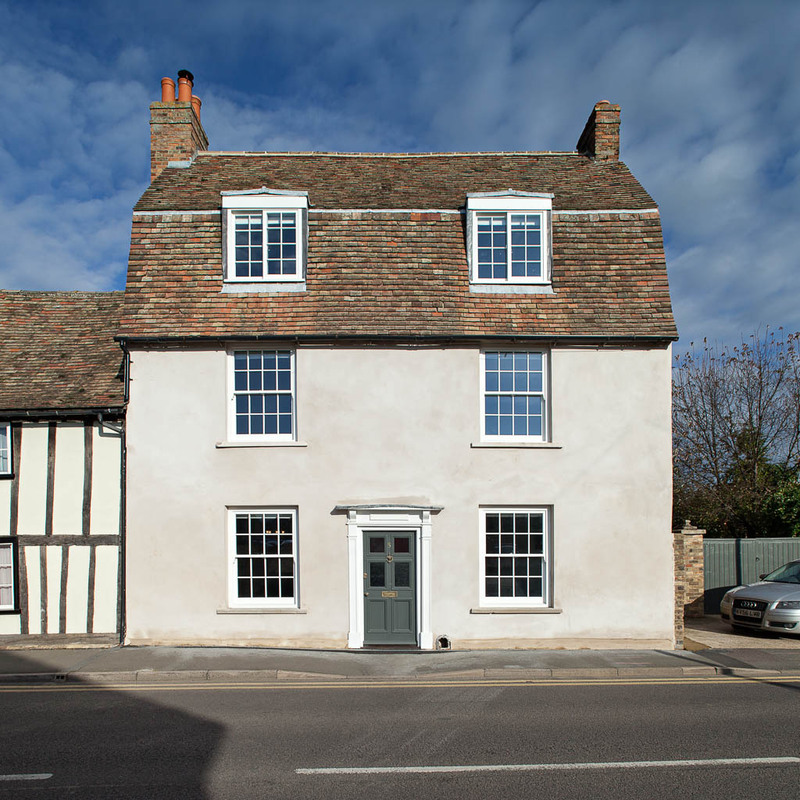 Our scheme also rectified a number of changes made to the exterior of the building prior to its listing. 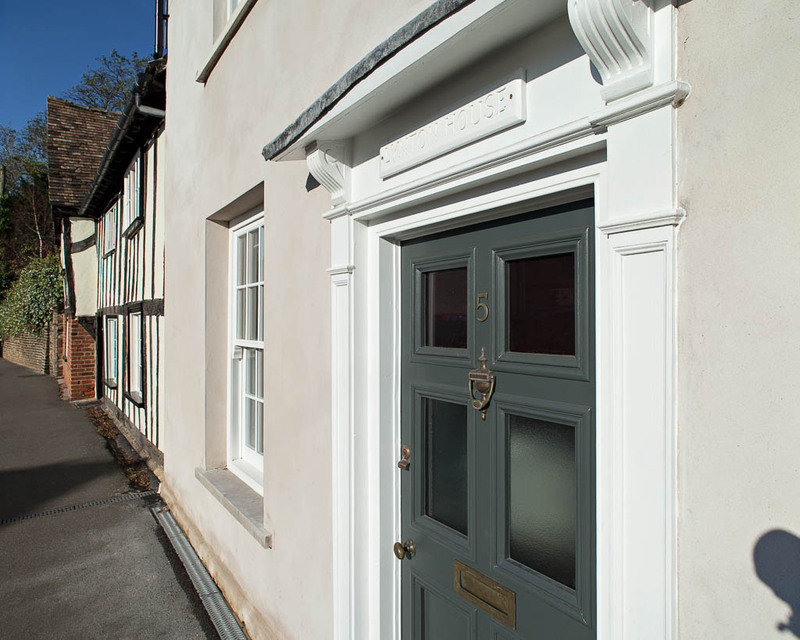 A modern veranda to the rear was removed and the cementitious render on the front elevation was replaced with a breathable lime render to alleviate damp. 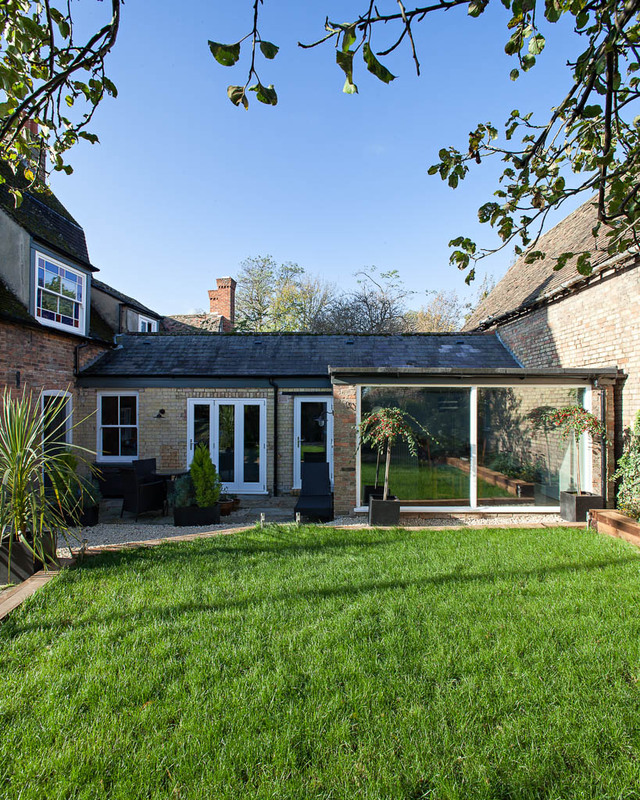 A modern window in the rear dormer was replaced by a timber sash incorporating the glass designs of the original window which we discovered hidden in the garage. 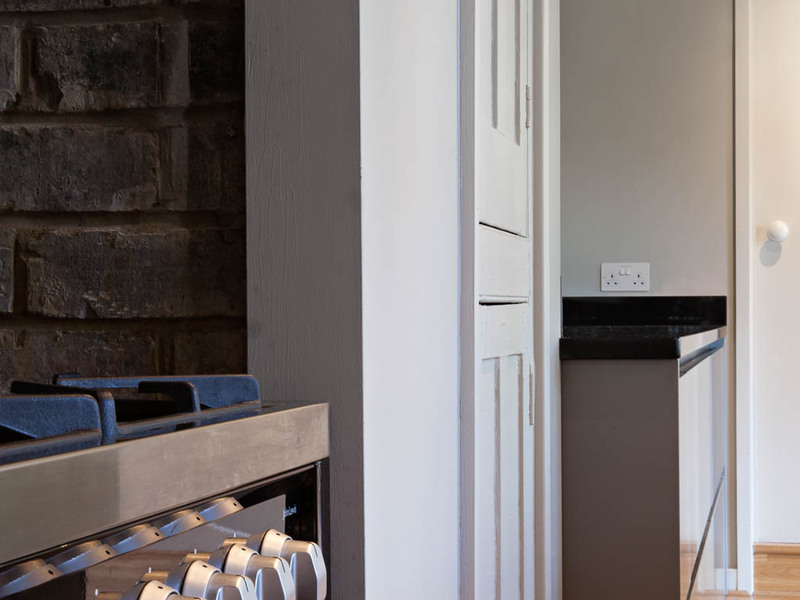 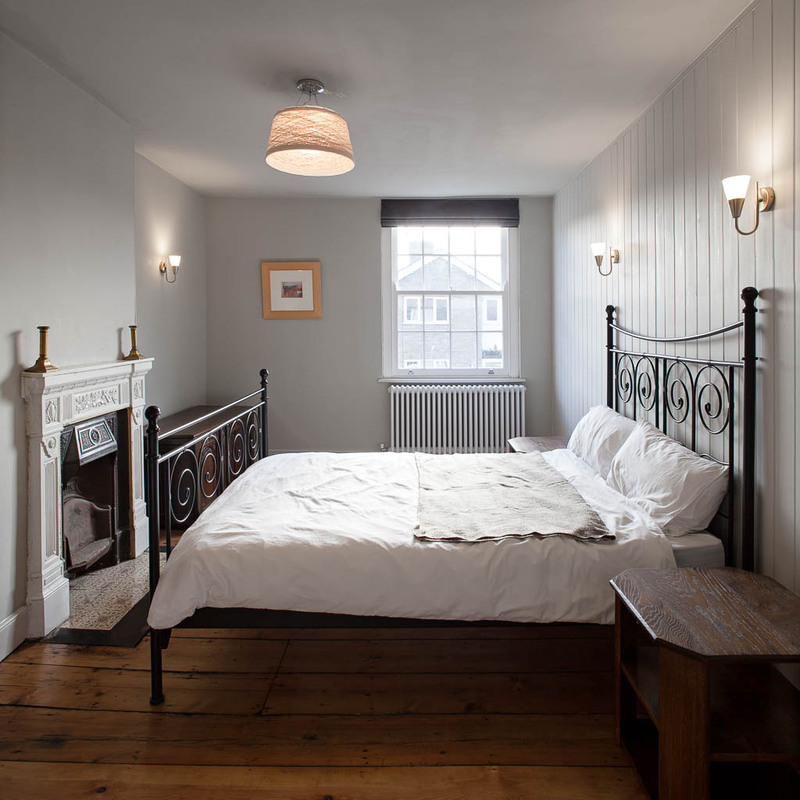 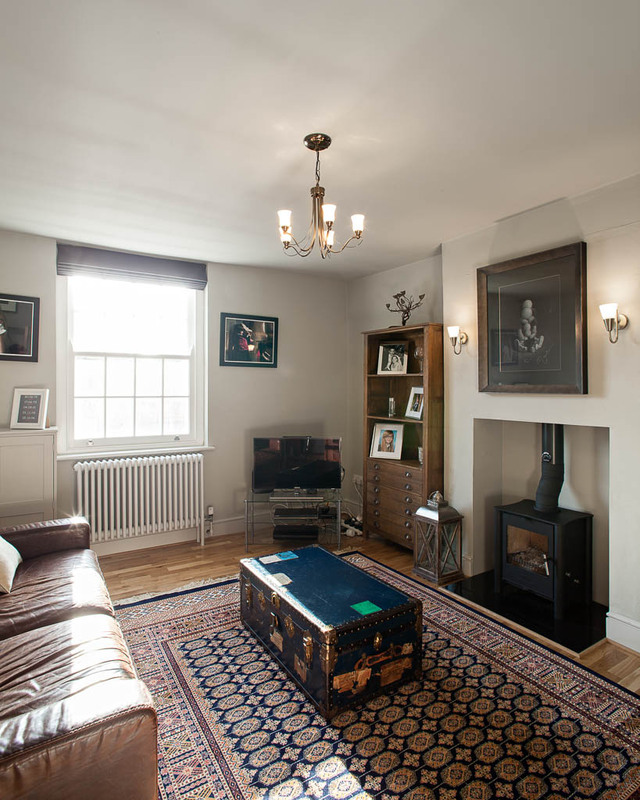 Internally original doors and timber panelling were retained and repaired. 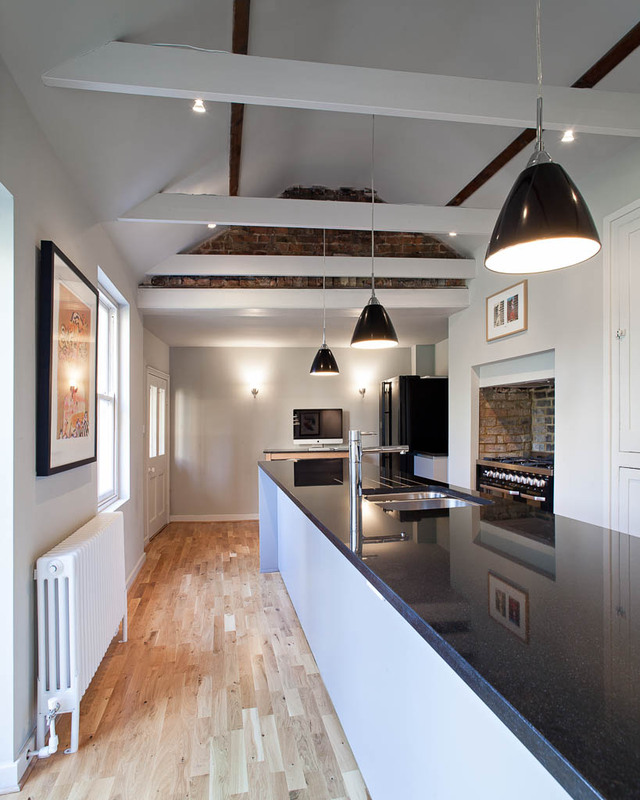 External walls were dry-lined and insulated, and new insulation was installed in the roof spaces of the main house and kitchen. 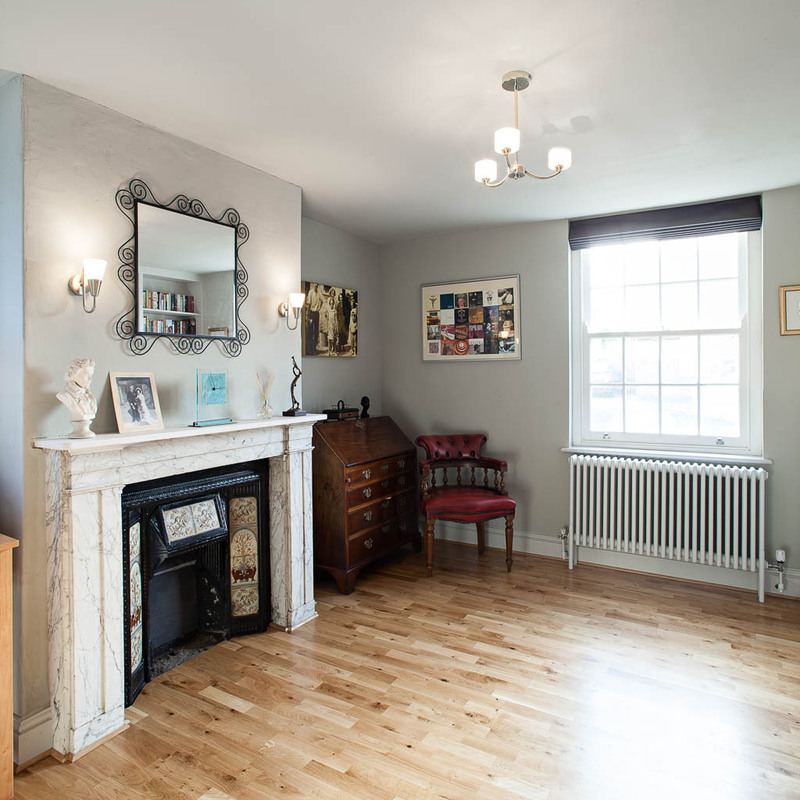 New sash windows, fitted with slim double glazing units, improved the draught-proofing. 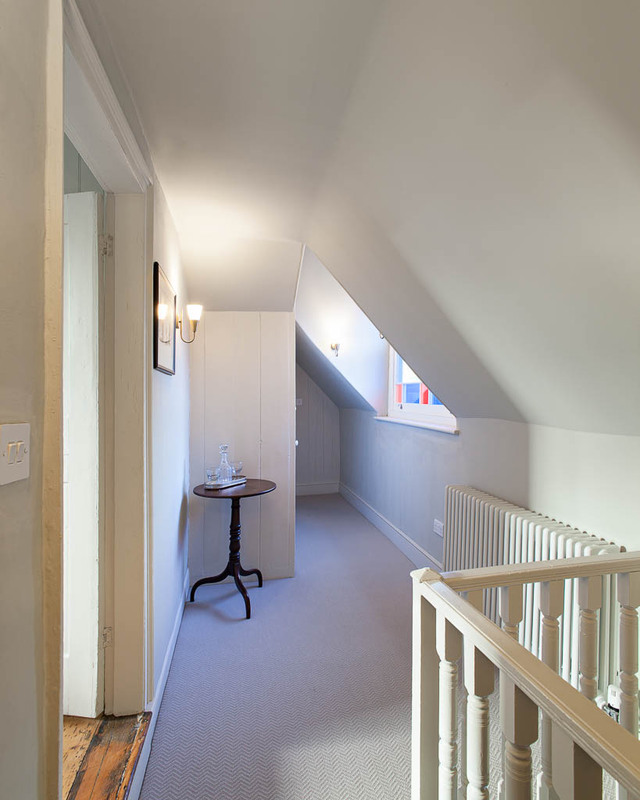 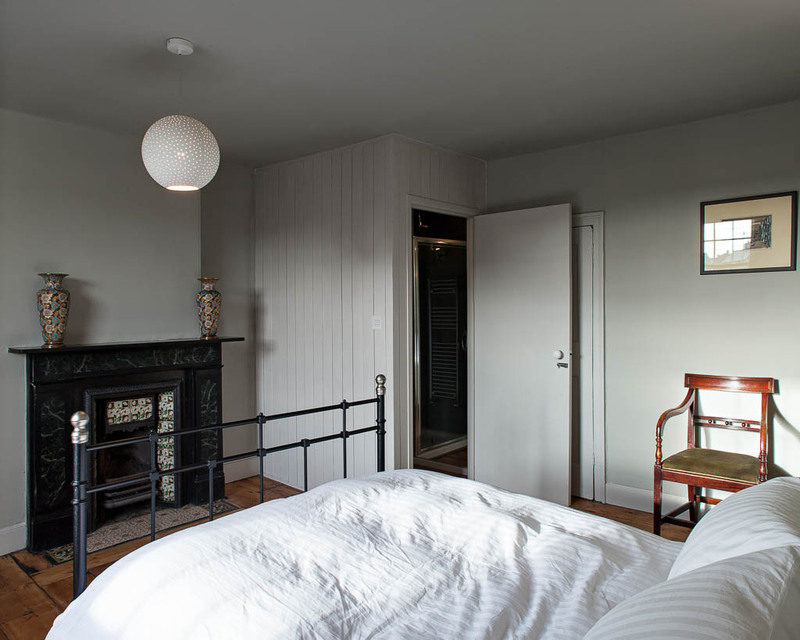 A walk-in dressing space was created off the master bedroom by borrowing from the neighbouring bedroom; concealed behind subtle timber panels.